Alison is an Inbound Marketing Executive and Web Developer & Designer living in the Tampa Bay area. She likes fitness, healthy living, and capitalizing on new ideas. Alison has been building websites since the late 90’s– ever since her family had installed dial-up Internet, she’s been very involved with making the web a more useful, more accessible place. By the mid-2000’s she was focused on honing her technical craft and building a freelance web business. In early 2010, she earned her Bachelor of Fine Arts in Graphic Design from the International Academy of Design and Technology in order to pursue more creative aspects of building websites. Since college, Alison has been involved with the American Advertising Federation– even winning herself a Student Addy for her work in Interactive. She served as Ad 2 Tampa Bay’s Interactive Director for a couple of years, launching their web presence into the modern age. With a strong desire for growing the technology community in Tampa, Alison co-founded a WordPress group in the bay area called Tampa Bay WordPress in 2009. Wanting to further grow the community, Alison lead the charge to launch the first WordCamp in Tampa– a technology conference revolving around the open source publishing platform, WordPress. The first event was held in October 2014 and has now grown to an almost 500 attendee, 3-day conference– with a special day dedicated to Veteran and Young Adult learning. 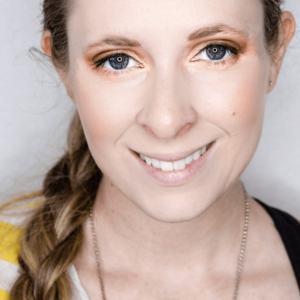 Alison has recruited 5 community leaders within the Tampa Bay WordPress organization to help organize and it continues to grow, with Alison at the helm. Her community leaders were even kind enough to present her a leadership award at WordCamp Tampa 2015. In 2014, Alison began getting involved within the Libertarian Party of Florida (LPF) and was appointed as the State Communications Director for the LPF for a two-year tenure. She has also taken an active role in the organizing team of the 2016, 2017, and 2018 LPF Conventions, designing all the new convention materials and digital presence. Alison was also appointed to the LNC’s Social Media Process and Review Committee to help streamline the Libertarian Party’s national messaging. Finally, after gaining much experience in software development firms, advertising agencies, and small interactive firms throughout the years, Alison co-founded Gobble Logic in early 2012. Gobble Logic is a web strategy firm that positions its clients to fully utilize the inbound marketing methodology. Not long after, Alison launched a WordPress skeleton theme called Gobble Blank. It continues to be maintained by her, being the #1 choice theme for beginning customer websites. It is also one of the only starter WordPress themes that have Bourbon and Neat integrated into it. Throughout the years, the Gobble Logic team has launched dozens of websites and applications, as well as software products. Alison’s extracurricular interests are in fitness, clean eating, green living and homesteading, open-source software, music, and voluntarism. Alison is a member of the American Advertising Federation, Libertarian Party, Conscious Capitalism Florida and the WordPress.org Community Team. Alison also speaks at many events and conferences from topics ranging from productivity to front-end development with WordPress.